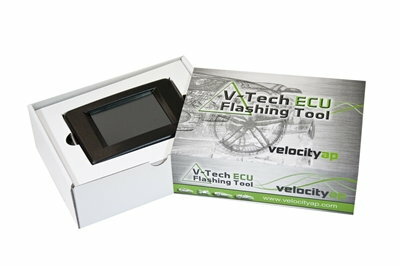 You might not have seen much from VelocityAP lately when it comes to ECU Tuning. The truth is that no other company in the world offers the level of expertise and the breadth of tuning options for Aston Martin vehicles as VelocityAP. 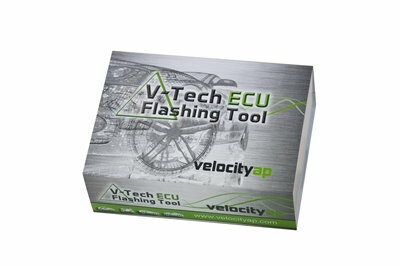 We have been quietly working on the development of Aston Martin protocols and files for our new tuning device: The Velocity V-Tech ECU Flashing Tool. This is a new generation touch screen device which blows all other available options out of the water. No more tuning your car by 'loaning' out a tuning device and having you deal with the hassle of shipping it back & forth. Once the V-Tech unit is paired to the car, you can switch easily between any of these files at any time. Going to the track? Switch to our Race Gas Mapping for maximum performance. Don't like the look of that sketchy 16 year old Valet at your favourite restaurant? Switch to our Valet Map to protect your pride & joy. There simply is not an Aston Martin ECU Tuning product on the market today which offers easier operation, switchable and highly specialized mapping options and better value for money. Will this allow me to extract a base map, keep a copy, and modify it to my liking and then flash the Ecu with my own tune? Or do I have to use your map choice? Last edited by MRY; 06-03-2015 at 08:59 AM. Stu, is it possible to upload newer version of the tune files (if/when available) to the unit? Thanks. Will this allow me to extract a base map, keep a copy, and modify it to my liking and then flash the Ecuador with my own tune? It will not allow you to produce your own tune. You can however still specify customizations to the maps that you would like pre-loaded onto the V-Tech Tool, within reason. Just to make sure I understand the question - do you mean that if we come out with some software revisions down the road, you can still upload them with this device? Yes, that was my question. 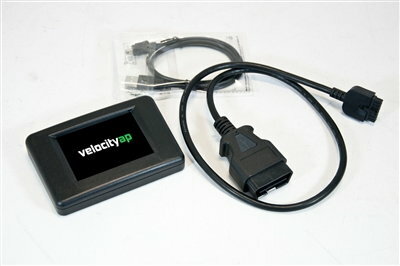 If you, VelocityAP, come out with software revisions of the tune files, will I be able to upload the revision files to the device and then apply to my vehicle? Another question is - if my stock file needed to be revised (e.g. added AM power pack), will I be able to update and overwrite the OE/orginal file on the device? I'm trying to avoid using a Pectel MQ12 or Motec 880 and rewiring stuff and figuring out how to keep the OBD2.. Within reason, we can change this stuff to suit your needs, but it has to be done by us, not by the customers. Tables list each MAF's max at 32 lb/min but the limiting factor is injector size followed by MAF size followed by Fuel pump. Injectors are about 35lb/hr at the system pressure of 55psi and fuel pump will go to about 6-6.5 lb/min at system voltage of 13.5-14V. Thanks for the notes on the maf limit. Are the tables for the maf from the workshop manual or something else like a Bosch data chart? Does the data source have the voltage and associated air mass for the maf from 0-5v? I'm not worried about injectors and fuel pump as they are easily compensated if I need additional fuel above 100kpa.. For example, the Bosch part number can get me the injector rating at 3bar, which I prefer as a baseline vs 55lb or almost 4bar. A Hobbs switch can activate a secondary pump if needed, or a voltage controller can overdrive the main fuel pump. Depending on the maf algorithms, I can modify the fueling tables as a function of the maf voltage if more fuel is needed based on my desired lambda targets. With past mods in other cars, I have always found the maf to be the biggest issue in keeping the oem ecu, not the injectors, as they are very easily replaced as is the fuel pump. The signal of the maf and corresponding fuel table value actually are what I am after to modify, as this function is what drives the injectors and duty cycle. This can be a log function or linear function, and in the Aston ecu, I don't know how that is written.. That's why I was hoping that I can use a tool like the velocity tool to rewrite the fuel maps and ignition maps in line with a maf chart. Ok, enough rambling on my part.. Okay, this is good to know.! I will keep it in mind. yup, been there, done that. Easy solution on the MAF is to put them in 3inch tubes and tune the MAF table. Ford racing injectors and boost-a-pump will get you to 650-700 Crank HP. Knowing how to do it is the trick. I had to figure it out for myself and its a lot of work. My recommendation is use a tuner for custom tune - Stuart is the MAN. I am glad you're in agreement on re-inventing the wheel.. I wonder if Stuart's tool can jig/scale the maf table to work with new injectors... This is exactly what I am after..
700chp is livable.. I can probably go to 800+ using turbines, without increasing peak cyl pressure more than 10% so everything is within stock parts tolerances. My buddy's CL65 Amg renntech has 700 chp and barely breaks a sweat. I know Stuart can easily setup your MAF table, base open loop fuel, boarder line Knock table and injector tables and slopes, but I probably shouldn't talk for him, he is the expert.